At some point in time in our lives, many of us are left in the situation where we need to liquidate the physical belongings in the home of a family member. This family member may have passed away, been relocated, is in a nursing home or some other specialized living environment. Divorce is also a common reason behind the need for a home liquidation. The list goes on of reasons why people are put in the position where they need to liquidate home contents and assets. Estate sales, and living estate sales typically involve the sale of collectibles, antiques and general household items. 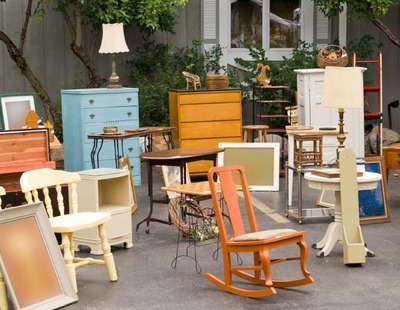 A professionally organized estate sale is generally far less bothersome than a garage sale. Revenue depends on what items are being sold. The sales usually lasts 2-3 days and are organized and run by estate sale professionals. It is important for your estate sale manager to be knowledgeable about collectible and antique items to make sure you get a good value for your home contents. Typically the company that runs the estate sale will earn a percentage of the total sale. Since there is a great amount of research, organization and staging preparation required before holding an estate sale, the cost and time needed can very widely. Be sure to discuss your options with the estate sale company before continuing, as they may require that a minimum item value be reached before they proceed with the sale. The estate sale professional may also be able to offer you a clean-out service where they pack up and organize unsold items to be purchased outright as a package, or donated. The goal of a garage sale is to quickly get rid of items at lower prices, without having people enter the home. Usually the net sales are typically much less than an auction, moving sale or estate sale. Garage sales take some effort in the planning and staging processes before the sale begins. It is important to sort through the items you want to sell, and price them as well. Having prices for these items can also help save time if you plan on having a moving or estate sale later on. Moving sales usually involve selling more items than a garage sale and the items are typically larger, such as furniture and appliances. In this case, potential buyers will enter the home to view the areas and rooms that have contents being sold. Auctioning the estate involves selling the house and its contents to the highest paying bidder. The advantage of an estate auction is that the sale of the property and its contents will be completed rather quickly, as often the auctions take place on the site of the home. Auction houses may be able to auction just the contents of the home as well. There are two types of estate auctions, absolute and reserve. Absolute means that the home and its contents will be sold to the highest bidder, no matter how low their bid might be; reserve auction bids must meet a reserve price before the home can be sold. The auctioning option can be one of the fastest ways to liquidate an estate. Consignment is a good option if your items are in demand to sell. High-end furniture, decorations and clothes often do well under consignment. Typically the consignment shop takes a percentage of the sale and they will ultimately decide what the value of your items will be consigned for in their store. If your pieces don't sell, you may be asked to pick those items up. It is important to ask the consignment store about their percentage fees and selling time frames. Consignment works best to sell a few items, not to liquidate all the contents of a home. A relatively fast way to liquidate the contents of a house is to donate them to a charity, and donating can also be helpful to get rid of unsold items from other sales. It is important to contact the charitable organization you are considering donating to, in order to find out what items they will accept and whether they offer a pick-up service; making appointments for pick-ups or drop-offs may be necessary. Inventory stock, and season can affect the items that these organizations are willing to take as donations. Making a list of items and their estimated monetary value ahead of time can help you easily get a receipt to be used for taxable deductions.